Things have been a bit busy around the This Board Game Life studio. Time to get things rolling again with a little teaser video! 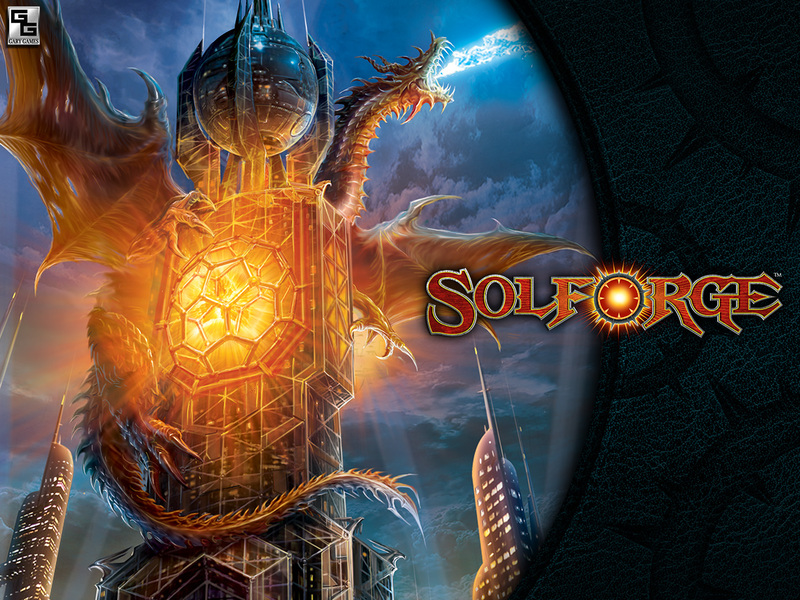 Solforge PC Beta Now Available! If you haven’t heard of Solforge, it’s a new digital deck building game that’s being developed by the makers of the popular Ascension series. Solforge features some very innovative concepts including the ability for cards to actually get more powerful over the course of the game. If this were a physical card game, I would imagine that this would be very hard to do. Nonetheless, the game looks quite amazing. An iPad version was released back in December and now people can enjoy the game on their PCs as well. Granted, it’s a beta version, but it should be fun enough as it is. If you Kickstarted the game, you should be receiving a Steam code via email soon to get the game loaded and running. 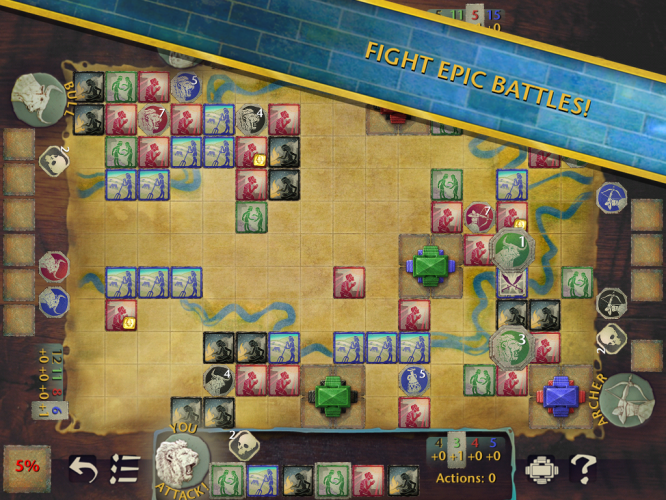 Sage Board Games just released Tigris & Euphrates for Android devices. This game has been quite popular with the IOS crowd for some time now and now we Android owners can join in on the fun. The game is now up on the Play store for $3.99 and is available to Android devices that are Android v2.3+. Currently, only AI and pass&play modes are supported with online multiplayer coming in a future update. The Walking Dead TV show is one of the finest shows on television at the moment… and this is coming from someone that doesn’t normally care for zombie movies/shows. On the gaming front, we have had a mixed bag when it comes to the Walking Dead. Last year we had the fantastic episodic video game from Telltale Games (do yourself a favor and play this NOW!) and the recent not so good Walking Dead Survival Instincts. On the board game front there’s one board game based on the comic book and another based on the TV show. Now, enter a THIRD contender! 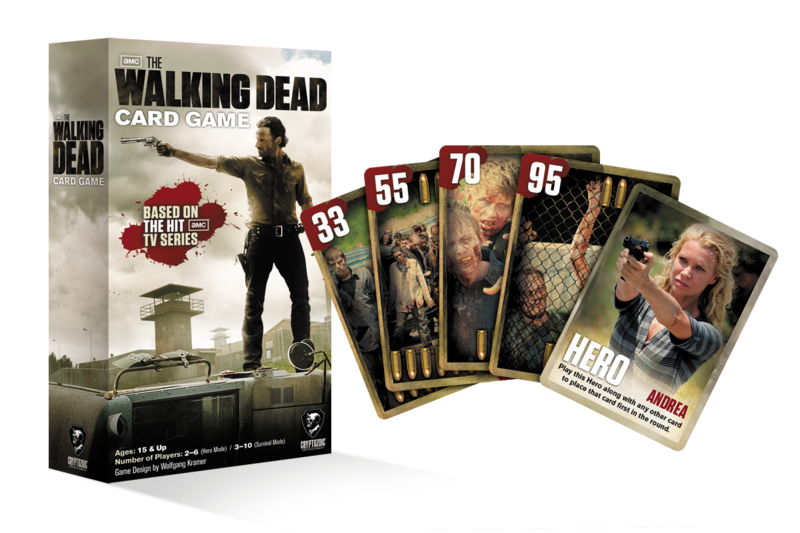 Cryptozoic is releasing a Walking Dead card game based on Wolfgang Kramer’s popular 6 Nimmt! game. The game will have two play modes, a Survival game that’s for 3-10 players, and a Hero game that’s for 2-6. The game comes with 114 cards and retails for a mere $15.00. This is one I will definitely pick up! Look for it on the shelves soon after it’s April 12th release date! Balloon Cup is a game that I have enjoyed quite a bit but I’ve been stuck playing it solely on Yucata as the game is long out of print. Used copies are available every so often, but at a high cost. 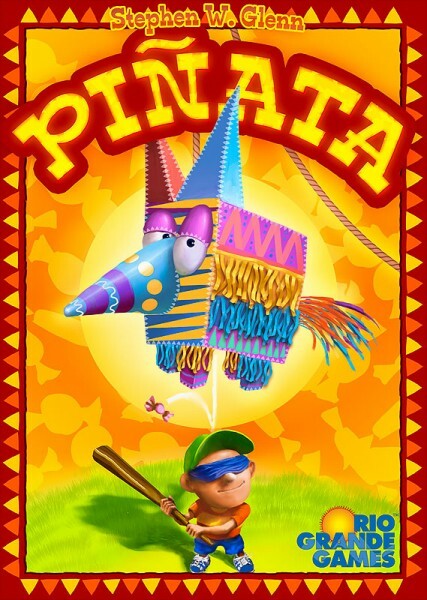 Then, late last year, I was quite pleased to learn that Rio Grande Games planned to release a new printing of it titled Pinata. Surprisingly, this is how designer Stephen Glenn originally themed the game and Balloon Cup is technically the re-theme! The game is set to be released in the US on April 10th and have a MSRP of $29.99.